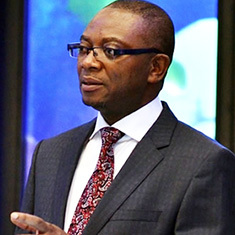 Originally trained as a barrister in Nigeria, Joe Abah gained extensive experience in the governance sector, working on public sector reform programs for the U.K. Prime Minister’s Office. He has spent more than 10 years managing governance programs in Nigeria for the U.K. Department for International Development, including on the DAI-led State Partnership for Accountability Responsiveness and Capability project. Judith Ogedegbe serves as Executive Director for DAI in Nigeria, responsible for all of DAI’s operations in Nigeria. She started her career with Shell Petroleum Development Company. Having completed her master's degree in human resource management and development, with extensive executive education from the Harvard Business School and London Business School of Finance, she has developed an executive-focused client relationship management style, serving multiple clients and organisations. Austin Chinweze is DAI’s lead new business recruiter in Nigeria. A human resource management professional, he has five years of experience managing recruitment plans for donor agencies, private companies, government, and in-house openings. He has handled the full cycle of recruitment, from developing job profiles to offer negotiations, placement, and onboarding. Austin has a Professional Diploma in Human Resource Management. He is an Associate Member of the Chartered Institute of Personnel Management of Nigeria and a Licensed Human Resource Practitioner. Douye Ikhumi manages the consultancy, contracting, and negotiation aspects of DAI’s work in Nigeria. Additionally, she provides technical services in programme design and institutional capacity building to private clients and donor-funded projects. She currently serves as the Capacity Building and Resource Mobilization Advisor to the African Ministers’ Council on Water (AMCOW) under the U.S. Agency for International Development’s Water for Africa through Leadership and Institutional Support project. She also serves as a lead consultant and faculty member at the Pan Atlantic University (Enterprise Development Center), where—under the Social Sector Management Programme and the Oxfam Work-In-Progress project—she assists organizations to strengthen their board governance structures and establish process flows for optimal productivity. With extensive experience in coaching, Douye has served as a Mentor for the Young African Leaders Initiative, organized by the West Africa Regional Leadership Centre. Eyitayo Akanfe is a financial management expert with 10 years of professional experience. He specializes in accounting and auditing, financial management and systems strengthening, project financial management start-up, and accounting systems review and evaluation. In his current role for DAI in Nigeria, Eitayo designs and implements financial management systems and performs financial, operational, and compliance audits for projects and for DAI’s operation in Nigeria. He also provides advisory services and training. Enene Ejembi designs and implements diverse outreach and learning activities, as well as supporting DAI-implemented programs with advice, facilitation, and research. In her eight years as a development professional, Enene has focused primarily on branded communications, technical writing, and knowledge sharing. She has also worked for eight years in retail banking in the United Kingdom and Nigeria. Prior to joining DAI, Enene led the Knowledge Management team of the U.K. Department for International Development’s Growth and Employment in States project (GEMS4). In addition to her degrees in English, she has trained at the Harvard Kennedy School of Government, completing courses including the Leading Economic Growth Executive Program. She also earned certification from the Knowledge Management Institute, Washington, D.C. Prior to joining DAI in Nigeria, Esther Adegunle spent five years with Deloitte and PwC. At Deloitte, she worked as a management consultant focused on strategy development, business plan development, business process review, and operational due diligence. As a Senior Industry Analyst at PwC, she developed thought leadership and sectoral reports across the agriculture, finance and real estate industries. In 2013, Esther founded BeyondaDegree, a foundation that helps university students transition to life after school, and she continues to support the foundation by organizing banner events for students. As the Advisor for Global Operations for DAI in Nigeria, Krystal collaborates with key stakeholders and DAI leadership to design, evaluate, and adapt operating systems and processes to maximize their effectiveness and generate efficiencies across all aspects of organizational management. In the course of her 15-year career, Krystal has worked in regional and project-level roles in the industry, developing the skills of individuals and organizations to achieve optimum performance. At DAI, she has overseen contractual and financial compliance for a $500 million project portfolio covering more than a dozen African countries. Mark Walker has been a permanent member of DAI staff for more than 20 years. Since 2006, he has held leadership roles on the U.K. Department for International Development’s governance programmes in Nigeria. Prior to 2006, Mark served as a policy and planning advisor on agricultural programs more broadly in Africa and Asia. Today, Mark leads DAI’s approach to adaptive delivery across our Nigeria portfolio. He has a special interest in establishing synergies within and across programmes for effective delivery of results. Paola Lang joined DAI in 2003, after tours with the economic consulting firm Nathan Associates and the nonprofit PACT. She brings to DAI’s operating platform in Nigeria 15 years of extensive field work principally in Africa, as well as 18 years concentrating in developing programs, initiatives, and partnerships, often as team leader. Paola’s field work has encompassed diverse initiatives, such as launching a counterpart fund to finance agricultural growth in Guinea, building investment facilitation capacities in Cape Verde, spurring enterprise expansion in Croatia, and assisting a development bank in Bangladesh to restructure its troubled loan portfolio through turnaround plans for select corporate borrowers. Her program development work covers services contracts, larger-scale sector projects, and public-private alliances focused on supply chain, resource management, and quality-of-life improvements. Sadiat Giwa-Osagie is in charge of Human Resources for DAI in Nigeria. With an HR career spanning 10 years with consulting and development companies, she is an expert in all HR areas, including talent acquisition, career management, individual performance management, and organizational process improvements. Her work has covered matching people to the needs of firms, organizations, and development programmes in the IT, health, governance, and economic growth sectors. Currently, Sadiat also serves as the HR Advisor for the African Minsters’ Council on Water (AMCOW) under the U.S. Agency for International Development’s Water for Africa Leadership and Institutional Support project. Sadiat holds a postgraduate degree in management. Prior to joining GRID in 2010, Timothy Oso served as a statistician at the University of Lagos, and, earlier, as an analyst in the External Debt Management Division of the Federal Ministry of Finance. As the Chief Accountant for DAI in Nigeria, Timothy’s portfolio entails accounting for project funds in excess of N2 billion annually. Tosin Adeyanju specializes in operations, working with diverse collaborators to lay the foundation for effective performance by DAI’s corporate and project teams. He is well versed in contract processes, supplier profiling, procurement, project set-up, and office administration. For 10 years, he managed GRID’s consulting, procurement, and logistics services for donor-funded projects and private clients. Earlier, Tosin worked in the private sector as an accounts and new business specialist.